Tomorrow being the first day this long-running battle reaches court, I've finally obtained and read the JFSA's allegations and the Post Office's defence in Bates v Post Office. c) the even lengthier generic defence and counterclaim (dated 18 July 2017). I am barely scratching the surface with this short and incomplete summary. In very broad brush strokes, the JFSA appears to be saying that the Post Office is responsible for putting Subpostmasters in a horribly disadvantaged situation, which was so unfair as to be unlawful. The Post Office appears to be saying it followed its contract with its Subpostmasters to the letter and didn't do anything wrong. It is particularly keen to deny its contract with Subpostmasters is "relational" or in any way "tortious". On the claim form, which summarises the case against the Post Office, the claimants (mainly Subpostmasters, but including some Post Office employees and Subpostmaster assistants) say they "have been subjected to unlawful treatment by the Defendant causing them significant financial losses (including loss of their business and property) bankruptcy, prosecutions, serving community or custodial sentences, distress and related ill-health, stigma and/or reputational damage." The particulars note that the claim has arisen since "the introduction and imposition" of the Horizon IT system in 1999/2000, and that all claimants were users of the Horizon IT system. Horizon is the electronic point of sale and accounting system (with a load more complicated bolt-ons) which you see on the counter of every single Post Office in the country. "From the introduction of Horizon and throughout, the Defendant failed to provide adequate training and support to the Claimants. When financial, accounting and other alleged errors or failures arose... the Defendant... did not investigate the existence and/or causes of the alleged shortfalls, fairly, properly or at all; required claimants to make good the alleged shortfalls; encouraged Claimants to sign-off cash balances without being able to satisfy themselves they were accurate and/or exercised undue or unreasonable pressure or influence on the Claimant to do so." The JFSA also alleges Subpostmaster contracts "were replete with power and discretion in the hands of the Defendant. In all the circumstances, they included an implied term of trust and confidence and/or were relational contracts imposing obligations of good faith on the Defendant (including duties of fair dealing and transparency, trust and confidence and co-operation)." It goes on to say that the contract had implied terms including "to account for, and explain any transactions and any alleged shortfalls which were attributed to the Claimants; and properly and fairly to investigate any such shortfalls." The JFSA also claims the Post Office "concealed material facts from the Claimants and thereby misled them about the reliability of Horizon and the errors in, and generated by Horizon; the problems encountered by other Subpostmasters in using Horizon (Claimants being informed they were the only one); the ability of the Defendant (or its IT provider ICL and later Fujitsu, on its behalf) remotely to access and make changes to transactions, data and/or branch accounts, without the knowledge of the Claimants." The JFSA also alleges the Post Office is liable for (deep breath here): "breach of express and/or implied contractual terms; breach of duties of care in tort; breach of fiduciary duty; unjust enrichment; harrassment under the Protection from Harrassment Act 1997; negligent misstatement; misrepresentation; deceit [and] malicious prosecution." It also claims several Human Rights Act and/or common law fair trial rights breaches. The JFSA is seeking declaratory relief, damages, aggravated and/or exemplary damages, restitution, rescission, interest and costs. The Post Office is having none of it. The generic defence calls the JFSA's allegations "speculative" and on at least three occasions so vague as to be "embarrassing". They allege "the Claimants cannot rely on express contractual terms to support their claims. In an ambitious attempt to invert the legal relationship between the parties, they seek to attack certain express contractual terms as being unenforceable, to imply a great number of new terms and to impose elaborate fiduciary, tortious and other duties on Post Office... Post Office denies the Claimants' elaborate and artificial attempt to re-write Subpostmasters' contracts." It goes on "Some Claimants chose to submit false accounts to the Post Office... The Claimants attempt to excuse this behaviour by saying they were placed under such economic duress or were dealt with so unconscionably that they had no choice but to deceive Post Office by submitting false accounts and/or making false declarations of cash and/or stock at their branches. These allegations are denied in the strongest terms. Post Office did not make threats or put illegitimate pressure on Subpostmasters." On Horizon the JFSA says claimants "are unable to provide detailed particulars of bugs, errors or defects which were or may have been the cause of any discrepancies or alleged shortfalls attributed to them by the Defendant, but will be able to plead further thereto following disclosure of the provision of information relating thereto by the Defendant. The Defendant has declined to provide obviously relevant disclosure in these matters." To this the Post Office responds "If and to the extent that the Claimants wish to assert that any of the shortfalls for which they were held responsible were Horizon-generated shortfalls, it is for them to make that distinct allegation and seek to prove it. It is denied that Post Office has unreasonably or otherwise failed to provide "obviously relevant disclosure" in relation to bugs, errors or defects in Horizon. There has been no order or application for disclosure and, in the premises set out above, there appears to be no basis for providing such disclosure." "It is admitted" says the Post Office "that Fujitsu maintain a "Known Error Log". This is not used by the Post Office and nor is it in Post Office's control. To the best of the Post Office's information and belief, the Known Error Log is a knowledge base document used by Fujitsu which explains how to deal with, or work around, minor issues that can sometimes arise in Horizon for which (often because of their triviality) system-wide fixes have not been developed and implemented. It is not a record of software coding errors or bugs for which system-wide fixes have been developed and implemented. To the best of Post Office's knowledge and belief, there is no issue in the Known Error Log that could affect the accuracy of a branch's accounts or the secure transmission and storage of transaction data." The vagueness is beguiling. The Post Office says it doesn't control the Known Error Log and doesn't know exactly what's in it, ("To the best of the Post Office's information and knowledge... and belief...") but it also states without any distancing adjectives that it is not a record of software coding errors or bugs for which system-wide fixes have been developed and implemented. It seems to suggest that the Known Errors Log doesn't look that important, and probably isn't that important, but just in case it is, the Post Office has already said it doesn't really know everything about what it does contain. From memory in October last year (ie after this generic defence had been filed) the judge ordered the Known Error Log to be viewed by an independent IT expert. If that is the case, more about this enigmatic document may become known in March's Horizon trial. The Post Office also states that there have been "occasions on which bugs or errors in Horizon have resulted in discrepancies and thus shortfalls or net gains in some branch accounts," but, and this is a big but: "it is denied (if it be alleged) that such bugs have affected any of the Claimants." "Transactions as they are recorded by branches cannot be edited" (Defendant's published reply to the BBC Panorama documentary in relation to Horizon). The JFSA notes: "These statements were untrue, as the Defendant now admits." The Post Office responds: "The Post Office representatives responsible for the making of these statements believed that they were true." When the JFSA alleges that the Post Office deliberately concealed its knowledge of Horizon's bugs and errors, those bugs and errors' ability to affect branch balances and the Post Office's or Fujitsu's ability to alter branch transaction data, the Post Office denies deliberately concealing any of this from Subpostmasters whilst claiming it had no duty to disclose it. Notably, in this paragraph at least, it does not dispute that it happened. It also says "like any other IT system, Horizon is not perfect, but Post Office maintains that it is robust and that it is extremely unlikely to be the cause of losses in branches." This is one of the biggest bones of contention. The Post Office has inferred in the past that admitting signing off accounts a Postmaster knows to be false is enough evidence to prosecute them for false accounting. 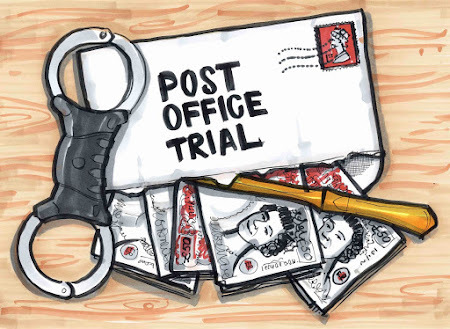 Very often, and to their own clients' possible detriment, a Subpostmaster's defence lawyer has agreed with this interpretation, hence the number of guilty pleas to false accounting which the Post Office has managed to secure. However, to commit the crime of false accounting, there has to be criminal intent, and those accused of false accounting within this claim maintain they had no criminal intent. They say it was something they were either advised to do by the Post Office's helpline in the expectation a transaction correction would come to them down the line, or something the Postmasters did of their own volition, because if they had not signed off their accounts, Horizon would not function the next business day and they would not be able to trade. The JFSA draws attention to previous legal correspondence from the Post Office in which the Post Office states: "it is a sound and logical inference that one would only submit false accounts to cover up their own theft." Note the word "only". If that was the corporate mindset between 2000 and 2016, then you have a possible answer as to why there were so many criminal prosecutions. "The act of intentionally submitting false accounts is, of itself, a dishonest act... In some circumstances... it is an appropriate inference that, where the Subpostmaster has deliberately rendered false accounts, he or she has done so in order to cover up some other dishonest conduct (such as theft)... It is denied that it was unfair, flawed or irrational to infer dishonesty from the submission of false accounts." "The Claimants' attempt to excuse false accounting, combined with their attempt to place extensive duties of investigation and burdens of proof on Post Office in relation to the root cause of losses, would mean that the greater a Subpostmaster's misconduct, the more difficult it would be for Post Office to recover in respect of losses from his or branch. This outcome would be absurd." The allegations pile up on page after page - arguments as to who controls Horizon, who has an accounting duty to whom, failures of investigation and acts of concealment. All rebutted by the Post Office. "The Subpostmaster Contracts made clear that Subpostmasters were agents of Post Office, and they owed Post Office the contractual, fiduciary and other duties that accompany that status. They were under a duty to account to the Post Office, not the other way round." "Whereas the Claimants were agents of the Defendant for the purposes of dealings with third parties, such as members of the public, the Defendant was the Claimants' agent for the purpose of rendering and making available accounts and/or was under an equitable duty to render accounts." When accused of creating a social stigma around Subpostmasters through their suspension or sacking, The Post Office responds "It is denied that Post Office suspending or terminating a Subpostmaster... would itself create the impression of dishonesty on their part. Post Office was entitled to take those steps in the absence of dishonesty (and, as regards termination, without any cause)." When accused of being responsible for Subpostmasters falling into ill-health because of their treatment by the Post Office, it responds with this finely-worded masterpiece: "Ill-health resulting from distress was no in the parties' contemplation as a not unlikely consequence of any of the pleaded breaches of contract and/or Post Office cannot reasonably be assumed to have undertaken responsibility for any such harm." I'll post these documents up in full when I get a chance. Your first court report should be up on this blog sometime after 1pm tomorrow. It won't be as long as this, I promise. Please do share the link to this webpage far and wide. If you are feeling particularly committed you can donate to support my work too. There is a button on the right hand side of this webpage which links to a paypal site which will take your card details. Anyone who donates £20 or more will be added to a secret emails list automatically as well as getting these public blog posts in their inbox as soon as they are posted up. Having committed to covering both this trial and the Horizon Issues trial I still need to raise £2.5k over the next few months to ensure I'm not running at a loss by the end of March. I will publish my income from Kickstarter backing and website donations so everyone can see where and how their money is being spent.